Below are some of the Artists in which Slyrox Music has worked with, presented, and help promote. They include: Infinite Frequency, Mountain Mirrors, Wish, Finley Swims, Avenger of Blood, Angry Hill. Check out the links, images, and information below. Some of the music and merchandise is available for purchase through the Slyrox Music Store. If you have questions or further interests please feel free to contact us by sending an email. Avenger of Blood was unleashed into this world in March, 2003 in the San Francisco Bay Area. An explosive creation at birth, Avenger of Blood was masterminded by guitarist Eric Hellfire and with the addition of drummer Shannon, bassist Shawn and second guitarist Marc, the war machine was rolling. Influenced by first-wave German and American thrash metal bands such as Kreator, Sodom, Destruction and Slayer, the band had quickly turned into a formidable force, gaining notoriety with the release of their first self-titled demo that same year. Seeking new territories to conquer, Avenger of Blood dispatched themselves permanently to Las Vegas in March of 2004. The recently transplanted band played their 1st show in Vegas on week later, followed by their performance at “Minneapolis Mayhem 1” festival.Avenger of blood set about slaughtering all in their path with the release of their debut album "Complete Annihilation". In April, 2005, the band headed to Seattle where they laid waste to an unsuspecting crowd at the “Northwest Deathfest 2”. The following month, Avenger of Blood was forced to kill yet again with their appearance at “Minneapolis Mayhem 2”. That October, the band returned to destroy Oakland at the “Thunder in the North” festival, followed by their appearance at the “Monsters Of Metal” fest in Salt Lake City, Utah in December 2005. 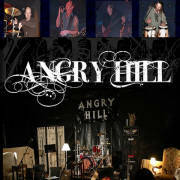 Angry Hill has released five CD's selling thousands, all of which have garnished an abundant quantity of praise in critical revue. Their fifth release, "Time to Meet The Stranger" is packed with the same explosive talent and unbridled, pure energy as its predecessors...and The Hill has yet two more CD releases IN HAND - in a double CD set entitled "SICK WAVE"
Mountain Mirrors started in the woods of Massachusetts with a Radio Shack keyboard, a four-track and a drum machine. Jeff Sanders, the man behind Mountain Mirror’s eclectic mix of psychedelic-laced folk, has been entranced by music as long as he can remember. A fan of all types of music, Jeff listened to metal artists like Anthrax and Metallica in his early teenage years but discovered esteemed songwriters like Nick Drake and Damien Rice as he grew older. It was this mix of influences that made Jeff realize that a musician need not be tied to one genre or another but rather to create music that they feel inspired by and in turn hopefully inspire others. When Jeff created Mountain Mirrors it was merely himself and a handful of equipment, writing and recording all vocal and instrument parts. After his time spent in a variety of band set-ups it was only natural that he wanted to work solo but when recording began on the new self-titled release he was eager to include other musicians. The contributors include Elad Fish on drums, Claire Fitch on cello and Guy By-Tor on bass. With his sophomore release, the self-titled Mountain Mirrors, Jeff explains that his influences go far beyond music, “I'm influenced by subjects I'm interested in just as much as this constant barrage of music. I love shows like "Unsolved Mysteries" and "Ghost Hunters,” "The Shield" and "The Sopranos". Quentin Tarantino movies. Anything disturbing.” And so with song titles such as “Stay Evil”, “Your Time Has Come” and “Karmic Dogs” you might be surprised to find that the songs aren’t necessarily as menacing as they might seem. 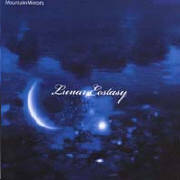 Stonerrockchick.com, in a review of Jeff’s first album (Lunar Ecstasy), described Mountain Mirrors as “fit for poets, travelers and seekers” and it’s an apt description. Take, for instance the song “Stay Evil”; the song as Jeff describes it was written “about following a spiritual path and finding some enlightenment.” A perfect blend of insightful spirituality and eclectic arrangements make Mountain Mirrors a subtle and powerful listen. The Mountain Mirrors track, "Afterlife" was chosen to appear in a documentary called "A Lawyer Walks Into a Bar"! This film will debut at the 2007 South by Southwest festival in Texas! At its core, Infinite Frequency is a dynamic trio of passionate, dedicated and talented musicians, Infinite Frequency brings magic to the stage whether it’s the power of the trio or whether it’s the full 5 to 9 piece ensemble with horns, keyboard, and backing vocalists. Regardless of the shape and size of the Frequency, Ian Franklin always brings the players together to share in an unmistakable chemistry, creating a sound that leaves their audiences craving for more. With their debut release "What If..." out last May 2006, they have experienced many successes to date. Most recently they won the Global Battle Of The Bands, Boston Regional, and played the nationals in Hollywood, CA. 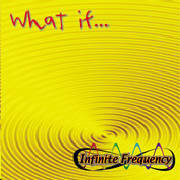 What If…, Infinite Frequency’s debut record, an impressive and original collection composed by front man singer/songwriter and guitarist Ian Franklin. This work was recorded and mixed on analog tape. What If… captures the sonic texture of Infinite Frequency’s live performances. Passionate lead vocals, distinct guitar work and a unique groove blending funk, alternative and pop-rock are the hallmark of Infinite Frequency’s sound. Ian Franklin and Frank Sanders teamed up to record Finley Swims back in 2001. It is an Acoustic E.P. Featuring Ian Franklin (of Infinite Frequency) and Frank Chickin' Pickin' Sanders. This rare E.P. was recorded and mixed live at Grizzly Studios by Roger Tschan in Petaluma, CA. The session took about 3-4 hours in total. This refreshing neo-folk and alternative rock collection was a collaborative effort between the two songwriters. Both strong guitarists and vocalists in their own right, the amalgamation of the two proves very potent! The new sounds coming from this E.P. have been compared to Crosby Still, Nash, Neil Young and The Beach Boys meets Zeppelin, Blind Mellon and Jane’s Addiction. Ian Franklin and Frank Sanders played out as a duet in 2000-2002 in support of this release primarily in the San Francisco and Northern California area. For the full catalog and the most up-to-date list of Slyrox Music artists and music please visit the Slyrox Music Store.